On March 21st , St Muredachs College, Ballina, team qualified for the 2017 F1 in Schools World Finals, where they will be representing Ireland in Kuala Lumpur next September. Consisting of four transition year students (Richard Grimes, Cormac MacDermott, Peter Timlin and Seán Treacy) who are motivated to work hard and are determined to be F1 in Schools World Champions 2017. All four students are aware it is essential to have knowledge of design, engineering and marketing in order to be successful in this competition. The team feel they have a very good team dynamic, with a drive to expand the knowledge on all elements involved in the competition. The Formula One in Schools competition sees over 23,000 students from 45 different countries make, design and race a miniature F1 car. It is the largest worldwide competition for students (available to 20 million), which promotes Science, Technology, Engineering and Mathematics. Its more than just design work, they need to be innovative and original! These cars are 1:20 scale models of real F1 cars and the competition requires each team to design their own. Every design is different, with each team trying to push the boundaries of innovation to ensure their car proves to be the best. Each team race their car on a straight 20 metre track and reach speeds of 115km/h in just 0.3 seconds. In addition to the car, each team must market their team, raise sponsorship, create portfolios and give verbal presentations, while focusing on innovation and originality. Unity Racing, has qualified to compete in the World Finals against the best teams from 45 different countries. The team will need all the help and assistance available, and will not be able to complete without the help of sponsors, and donations along the way. Team Unity Racing needs YOUR help! As part of the teams marketing and sponsorship campaign, they are attempting to break a Guinness World record, named ‘Largest Human Car Image’. The previous record is 1660, but the team plan to bring 2500 people to St. Muredach’s College, on the 4th May to help break the record. The team hopes to raise the media profile and to attract new sponsors by providing a new form of return on investment. This event will have coverage on TG4, live streams through social media accounts (250,000 impressions in six months), national radio interviews, newspaper reporters as well as direct access to 2,500 people on the day. 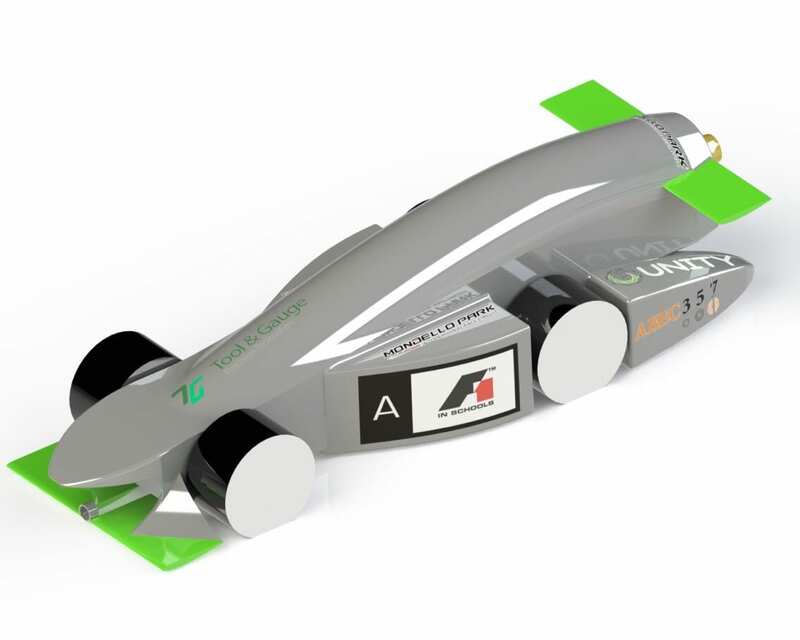 Besides this coverage, UNITY can offer logos on its car which will race in Malaysia at the world Finals, logos on their website, social media, uniform, mentions on radio interviews, television interviews and constant general exposure, all depending on value of sponsorship.